The newest Explora Hotel, Explora Valle Sagrado, is the groups’ first location outside of Chili. If you’ve been to Patagonia, Easter Island or the Atacama Desert you know this is a formula that works. Offering off the grid, active experiences, Explora wants to reconnect their guests with nature, choosing remote locations and providing top-notch guides. Whether biking, hiking or out on a walking excursion, you’re always trekking down less traveled paths, often not seeing a soul. Last fall as part of a two week Peru trip we used Explora as our base to explore the Sacred Valley and Machu Picchu. Here is the lowdown on why you should visit this exciting new hotel and fascinating region. Our Itinerary: We flew overnight from New York to Lima where we immediately caught a flight to Cusco. Upon arrival, we drove the approximately 1-½ hours to the Sacred Valley, staying at the Explora Valle Sagrado, our home base for the next three nights. We did a one-day excursion from Explora to Machu Picchu, but I regret not spending at least one night at the sanctuary. After two nights spent in Cusco, we flew to Lima. There we joined a trip organized by the World Monuments Fund to see some of the WMF watch sights in the city before flying to the colonial city of Trujillo, visiting Huaca de la Luna and Chankillo, one of the earliest astronomical observatories in the Americas. To read about our time in Lima click here and to view our essential guide to Cusco click here. Why Explora: Explora hotels are located in seven remote destinations throughout South America, well respected for their authentic explorations, simple luxury, and expert guides. Think active, immersive travel with style. Explora sets an example, with its strict environmental standards, acting as ”custodians of the land.” A novel approach to travel when it began some twenty-five years ago, there are now many copycats, but Explora is the true original. 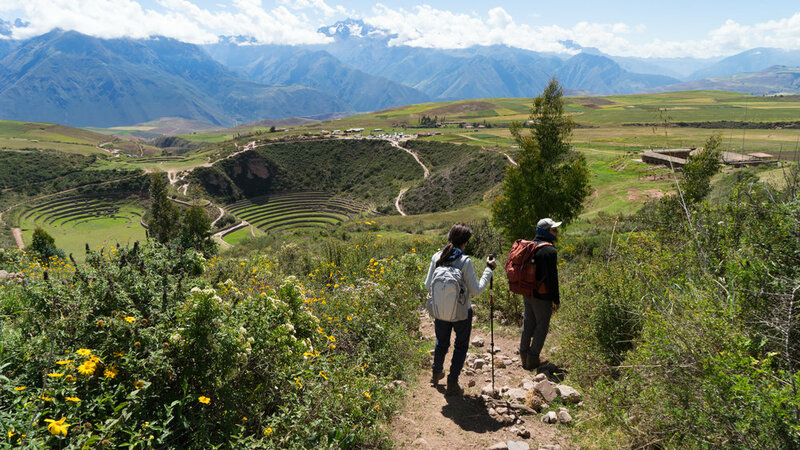 Location, Location: Situated between Cusco and Machu Picchu, the Sacred Valley offers travelers a mix of awe-inspiring landscapes, local culture and ancient history. Though Machu Picchu is the big draw, it would be a shame to skip through without spending a few days exploring the region. 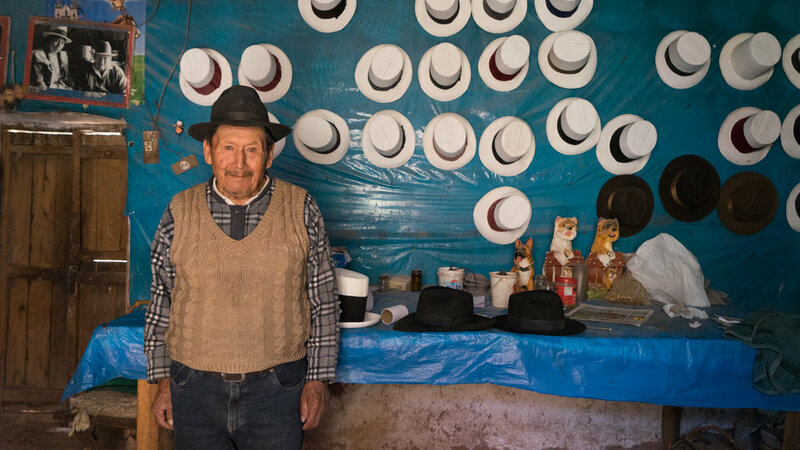 From local markets to the Inca archaeological site of Ollantaytambo to the salt mines of Maras there is a lot to do and see. In fact, I left wishing I had a few more days. The Hotel: Picture a dramatic mountain range, Incan terraces, plus fields of corn and multi-colored quinoa. Slowly you see a series of several understated low laying wood buildings—it’s the hotel, unassuming yet architecturally interesting. Don’t worry which room or building your in, all rooms face towards the mountains, to the view. Rooms are minimal, well designed and very comfortable, with a large picture window and muted decor—all you need. The hotels main living spaces are cozy and sparse, Scandinavian style meets hacienda chic with blazing fireplaces, alpaca blankets, cozy nooks for drinks, and a long bar that beckons you to enjoy a pre-dinner Pisco Sour, the national cocktail of Peru. Note: The hotel is off the beaten track, a drive off the main road and away from any main towns. This fact adds to your travel time to and from excursions, but we felt the solitude and scenery were worth the extra time in the car. Excursions: Each night you meet with one of the guides to plan your activities for the next day, not an easy choice as the hotel offers more than 30 explorations for you to choose from. The emphasis is on active treks, and the full day hikes are the most special, but there are easy strolls and even trips by van. I won’t soon forget the Concentric terraces at the Moray archaeological site, and later that day turning a bend and seeing the salt fields of Maras for the first time. I almost passed on the half-day visit to Chinchero to learn textile techniques from the woman in the town, thinking it sounded touristy. After the most delightful lesson into the elaborate work that goes into each piece and the enchanting smiles and personalities of the women, it turned out to be a highlight of our stay. On the day I went to Machu Picchu, my friends who had already been, tackled the 5 Lagunas, a strenuous hike where they passed through snow-capped peaks descending into a ravine passing llama and alpaca herds, all beside several stunning lagoons—I was jealous. Dream Day Trip: Visiting Machu Picchu had always been a dream and at Explora it became a reality. We headed out very early in the morning driving to the Ollantaytambo train station, approximately 45 minutes away. Then a two-hour scenic ride to the town of Aguas Calientes, and then a 20-minute bus to Machu Picchu. There’s no denying it was a long morning of travel! We had some three to four hours to explore the site including a hike to the Sun Gate, a fantastic vantage point for postcard pictures of the sanctuary. We had ample time to explore, and I did not feel rushed at the site. However, an ideal way to make the trip, and one I’d highly recommend, is to spend a few days in the Sacred Valley then a night at Machu Picchu at the Belmond Sanctuary Lodge. The only hotel in the park, located at the entrance to Machu Picchu-- you can wake at sunrise to witness it in all its glory before the crowds descend. If you do stay, then travel in high style to Cusco after, on the world class Hiram Bingham train. We peered into a car at the station—all white tablecloths and candlelit tables –I was waiting for Agatha Christie to appear. Eat: As with everything else at Explora meals are all-inclusive, which is perfect as there is nowhere nearby to dine at anyway and after a long day you are tired and wouldn’t want to venture out again. Meals are designed with a nod to local ingredients, and include at least one dish typical to the region. Explora prides itself on using top quality ingredients and is sensitive to the fact that one must adjust to the high altitude. They advise you to eat a low-fat diet and plenty of carbs to help with the elevation-it was guilt-free pasta for a change. Breakfast is a buffet where we enjoyed local fruits, quinoa pancakes, and freshly baked bread. Depending on your excursion you either pack your own lunch or enjoy a mid-hike picnic set up by the hotel on your route. Relax: After a long day of hiking a massage at the Pumacahua Bath House, a beautifully restored colonial manor house a short walk from the hotel’s main building, was just what I needed. Maybe it was the moon and a natural high from the altitude but after a full day trek, rushing from the van to make my appointment as the sun was setting, and exiting in the moonlight led to a surreal, somewhat spiritual experience. There’s a pretty pool, plus a sauna and steam room, though having it all a walk from the hotel, even a short one, makes it a second thought. What to Bring: Explora will provide you with a packing list, but know you won't need anything fancy during your stay—jeans and a sweater or fleece work just fine at dinner. For day hikes, I recommend layers, morning and late afternoons are cooler with midday sun inching the dial higher. Don’t forget, as I did, a sun hat, and be sure to have good sunglasses with a UV filter. Also, a small backpack comes in handy. The hotel provides you with a water bottle so leave yours at home; you’ll fill it each morning before you head out. If you plan on doing any of the high mountain hikes, you will need a warmer jacket, hat, and gloves. FYI: Wi-Fi is only available in the common areas, encouraging you to disconnect from home and perhaps also not to linger in your room, to be more social. Yes, it was annoying to rush out of my room to the main lodge early morning to touch base with my family or post a Daytripper Instagram, but the flip side is at night there are no distractions, no computer or Facebook feed taunting you to have a look. Ideal time: How long should you stay? The hotel recommends a minimum of five days, but that includes a day trip to Cusco. We were there for three nights allowing us one half-day excursion upon arrival and two full-day tours, but with the array of activities we easily could have stayed longer. If you are visiting Machu Picchu or Cusco before or after your stay, then three nights is ok, but four would be perfect. (Remember you need time to acclimate) Fewer days are just not enough time to experience the diversity of the region.